NVIDIA has at long last unveiled its next generation of Turing-based graphics cards. The all new 20-series cards are the 2070, 2080, and 2080 Ti, and they're arriving as soon as September of this year. PC players who want the latest technology — as well as those curious to see the true power of real-time ray tracing — will most certainly be wondering just how well the new cards stack up against the company's current-gen GPUs. Fortunately, we've got a convenient breakdown of each card's specifications featured below, with comparisons to current cards, plus further information about projected pricing and pre-order details. NVIDIA has unveiled three new 20-series cards that will form the company's new upper tier of GPUs: the GeForce RTX 2070, 2080, and 2080 Ti. These will succeed the company's previous 1070, 1080, and 1080 Ti cards respectively, and they'll all feature support for real-time ray tracing in select current-gen games as well as future releases. Players interested to know how they stack up with existing GPUs can find more information about each card's performance potential in the specifications and comparisons featured below. Naturally, getting in on the latest NVIDIA has to offer isn't exactly cheap. 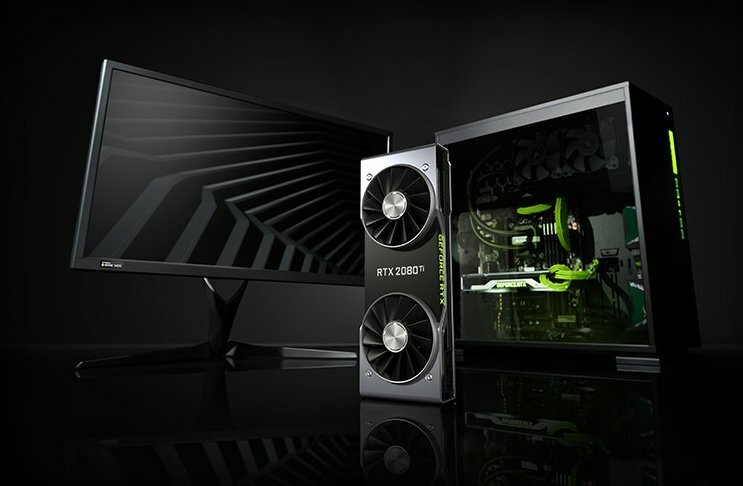 However, the introductory prices for the new 20-series cards still manage to come in under the costs PC fans have been faced with following the recent cryptocurrency boom, with prices "starting at" just $499 for the new GeForce RTX 2070. NVIDIA is currently offering select Founder's Edition cards for pre-order. They cost $100 more than the base cards apparently will on average, but PC gamers who want the absolute latest can pre-order them right now through the NVIDIA website. Stay on top of the latest PC gaming industry coverage, including Gamescom 2018 news and further details about NVIDIA's RTX line of graphics cards, by keeping it tuned right here to Shacknews.